Playing with Papercrafting: Wonderful Weekend and Wondrous Wreath! Well, what a wonderful weekend I just had. Anytime I can have all of my kids and grandkids under the same roof, it's a Grandma's dream come true! It was low key, and unstructured and the weather cooperated so that we could spend some beach time. I cooked a big turkey dinner for the family on Saturday night and we ate the delicious leftovers on Sunday. I had lots of Grandma cuddles and stories, hugs and kisses, and once the babies were all in bed, we played a hilarious game my daughter uploaded on her IPhone called Heads Up! It was difficult for everyone to find a free weekend, and one of my daughters and her husband had an 11 hour drive with a 2 year old and a 3 month old, but, I think everyone felt it was well-worth it for the reconnection time! Everytime I think of downsizing and moving to a smaller house, this is the reason we don't. We had enough indoor and outdoor space for everyone to love and sleep comfortably for the visit. I'm hoping it becomes a family tradition! The Wondrous Wreath stamps are photopolymer so they make it SO easy to two-step stamp because you can clearly see where your images will be placed. The wreath is not symmetrical, so it would be hard to get the framelit in the right place to die cut the wreath, except that Stampin' Up! has added tabs to the stamp set and framelits that allow you to line them up perfectly. You can bundle the stamps and the framelits and save 15%! The colour scheme I used for this card is Pistachio Pudding, Island Indigo and Real Red. I like the way the Island Indigo adds some interest to the straight Christmas colours of red and green. The polka dot DSP is from the 2013 - 15 In Colour Designer Series Paper Stack and the striped DSP is from the All Abloom Designer Series Paper Stacks - a great value! 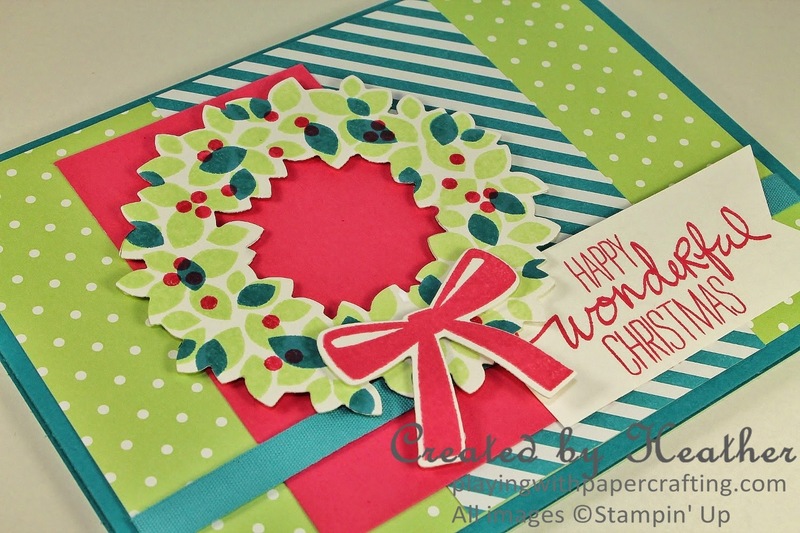 The bow and the sentiment are all from the Wondrous Wreath stamp set. The bow has a matching framelit as well. The ribbon is one of the 1/4" Cotton Ribbon samples in Indigo Ink. 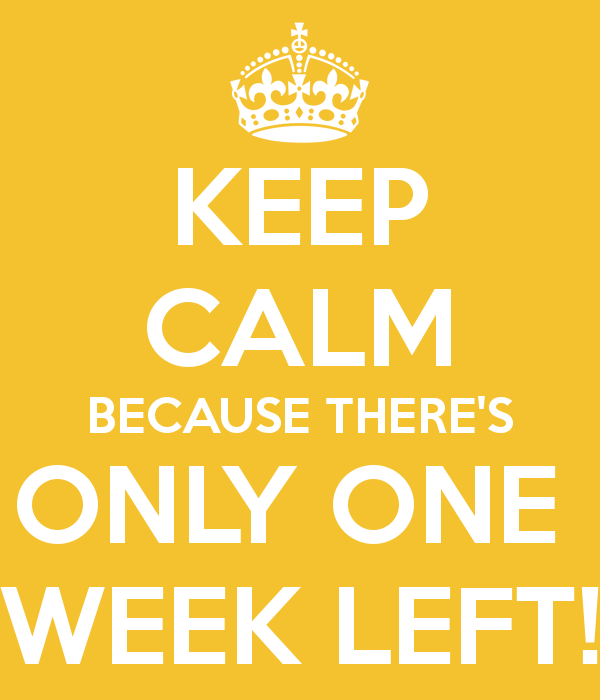 Just a reminder that there is only ONE WEEK LEFT!! in the Big Shot and the Starter Kit promotions. Don't miss out! The Big Shot promotion is over on August 31st and the Starter Kit deal is done on August 28th. Don't delay!